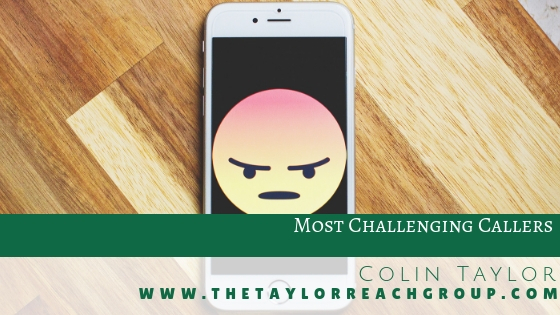 Most Challenging Callers | The Taylor Reach Group Inc. While working on a call center consulting engagement with one of the largest garbage companies in the country we encountered what was likely the most difficult customer I have ever experienced. We were working in a mid- sized call center and discussing their customers. The company serviced urban, suburban and rural customers in the city and many of the surrounding towns. There was one famous or perhaps infamous customer; an elderly women in her eighties with a mouth like a sailor whose favourite noun, verb and adjective was a certain four letter Anglo-Saxon word that she added to virtually every sentence. She called almost every week and complained that the company had neglected to pick up her trash. The agent in the center would check the system and had on numerous occurrences sent a route supervisor to check and every time the trash had in fact been collected. This woman was well known to carry or have in her possession one or more firearms and we were told even the local Sheriff was afraid to confront her. So week in and week out there were calls of complaint, but the agents, the call center supervisors and manager, wrote this women off as a ‘kook’ and a foul mouthed, gun toting ‘kook’ as a result her complaints became the stuff of legend. Now this call wasn’t really different from tens (perhaps hundreds) of other calls the center had received from this customer, including the threat of violence (which explains in part why the Sheriff had experience with this individual). What was unique was the mention of the street name. Previous calls had focused on missing the pickup and not the specific location. 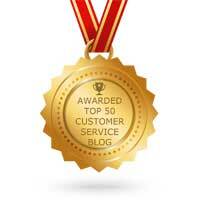 The call center always looked up the customer and verified the pick up at the identified address. Unfortunately, in part due to the nature, attitude, aggression and language used by the customer the agents didn’t probe to clarify their assumptions they just worked to get off the call as soon as possible. But now there was a new street location and when the center manager called back and while receiving similar abuse, she was able to confirm a full street address that differed from the one on file. It turned out that the new address belonged to a company that didn’t have a contact listed. It turned out that this woman owned the company and owned not one, not two, but seven other locations. After profuse apologies the additional addresses were associated with the elderly women and became a part of the process to confirm any future reported missed pickups. So in the end the customer finally received the service she deserved and the volume of abusive calls to the call center declined. But the real learning in this process was to not prejudge customers. If an agent could have seen past the bad language, and aggressive attitude they could have asked probing questions and solved this mystery. Of course call center agents should not have to take abuse or be threatened just to do their job. Many centers instruct their agents to warn a caller to censor their language and attitude or be disconnected. There wasn’t a similar policy in place when we began working with this company, though one was created during our engagement. To find out more about how Taylor Reach can help your company with strategies for handling difficult calls, CLICK HERE to schedule a free consultation.